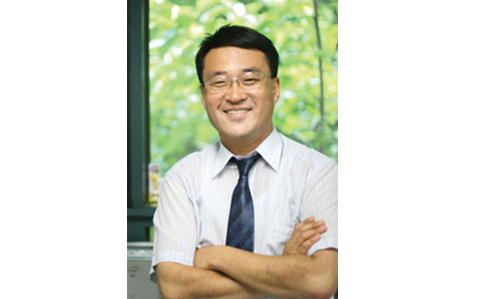 The research team of Professor Ju, Byeong-kwon develops a high efficiency OLED featuring ultra-high resolution nano-pixels. There are high expectations for the amelioration of OLED efficiency loss at high resolution and the improvement of OLED lifetime expectancy. 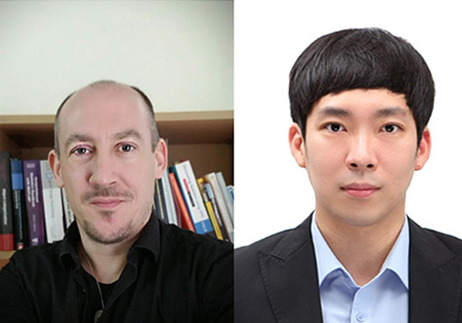 The research results were published in the international journal, Nanoscale. Techniques were developed to improve the efficiency and lifetime of OLEDs by creating the pixels, the units that make up an image, from many nano-sized pixels. 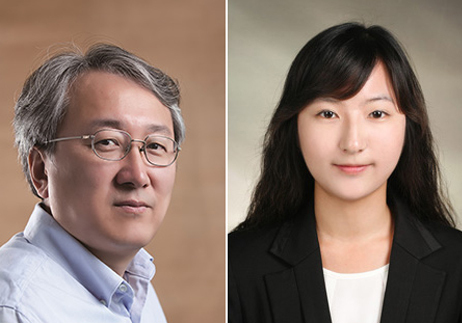 Professor Ju Byung-kwon of the School of Electrical and Electronic Engineering of the College of Engineering and Professor Park Young-wook of Sun Moon University have developed an OLED technology that exhibits high light emission efficiency even at high luminance levels using nano-sized pixels. OLEDs (organic light emitting diodes) are attracting attention in the display and lighting market due to their excellent color reproduction, high contrast ratio, and bendability. However, since light generated in OLEDs cannot always escape externally, the efficiency of light emission is decreased, and the OLED lifetime is shortened due to the roll-off phenomenon in which the efficiency is rapidly reduced at high luminance. The research team has developed OLEDs that have high luminous efficiency even at high brightness through a structure in which a large number of nano OLEDs, which are several hundreds of nanometers (nm) wide, are gathered to form one pixel. In particular, by adjusting the pixel size and pixel-to-pixel distance, the luminous efficiency is maximized and the roll-off phenomenon is improved. Energy conversion efficiency is improved 137% compared to a conventional OLED, and the loss of efficiency at high luminance is reduced by 2-3 times. In this study, a laser interference lithography technique was used to form a nanoscale pattern using laser light interference. The pattern can be made without a mask and can be manufactured across a large area, so may be applied to large OLEDs for display or illumination. 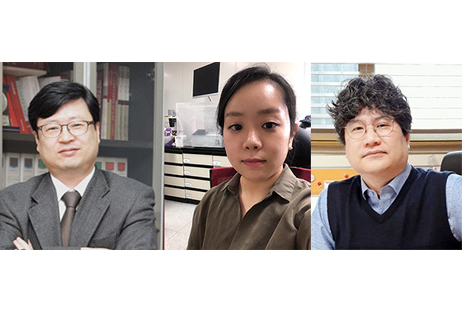 The results of this research, supported by the Ministry of Science and ICT, and the Korea Research Foundation’s Basic Research Project (midsize research), were published in the nano materials international journal, Nanoscale, on September 1. - Authors: Professor Byeong-Kwon Ju (corresponding author, Korea University), Professor Young Wook Park (corresponding author, Sun Moon University), Ha Hwang (first author, Korea University), Dr. Yong Sub Shim (Korea University), Junhee Choi (Korea University), Dong Jun Lee (Korea University), Jae Geun Kim (Korea University), Ju Sung Lee (Korea University). 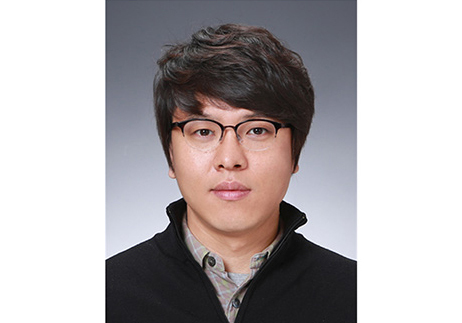 Professor Ju will undertake further studies to improve the luminous efficiency of OLED devices through the nano-optics effect and plans to carry out OLED lifetime research to reduce the burn-in phenomenon. The exciton, a sub-particle generated by the combination of electrons and holes, disappears after emitting light for a certain period of time. When the generated exciton collides with the electron and the hole, which are the charge carriers, its energy cannot cause further light emission and is instead emitted as heat. The above figure shows a mechanism for improving the roll-off phenomenon by reducing the collisions between the exciton and the charge carriers through the exciton diffusion phenomenon in nano-pixel array OLED device structures. After the photoresist is coated on the substrate, nano patterning is performed via laser interference lithography. 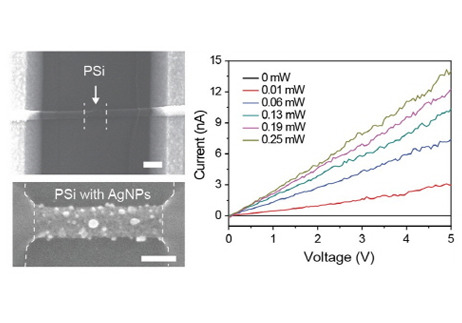 The patterned photoresist is then used as a PDL (pixel defining layer) to define the nano-pixel region. Organic materials and metals are deposited on the PDL to fabricate OLED devices. In a laser interferometric lithography system, the inter-pixel spacing of nano-pixels can be controlled by altering the angle of the Lloyd's Mirror, and the magnitude of the nano-pixels can be controlled by tuning the intensity of the energy exposure and the developing time.